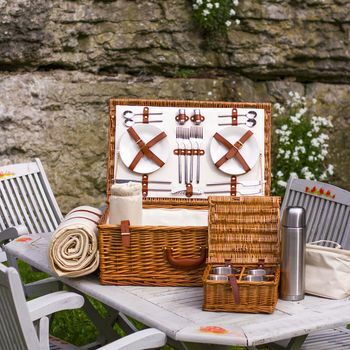 This hamper not only looks great but its functional design makes it a must have for your outdoor wining and dining. 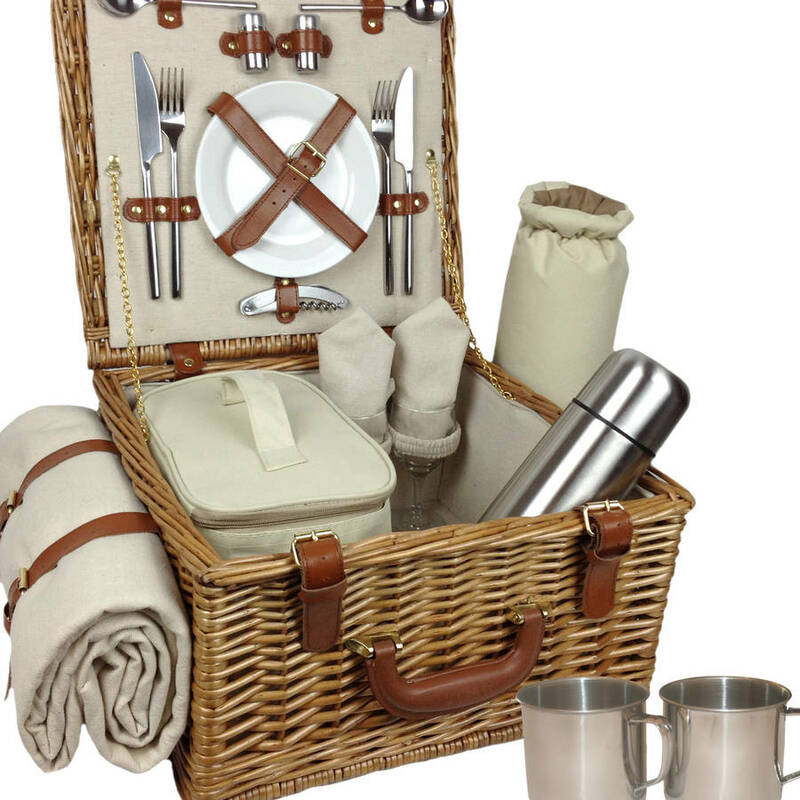 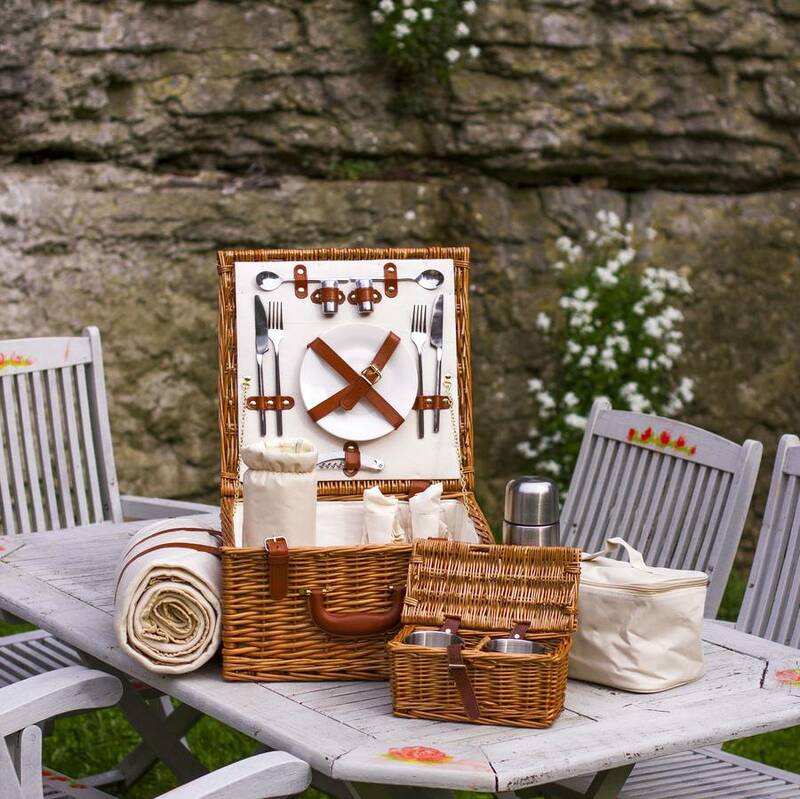 This classically designed hamper has everything you will need and more for a meal outdoors. 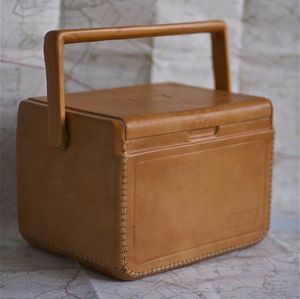 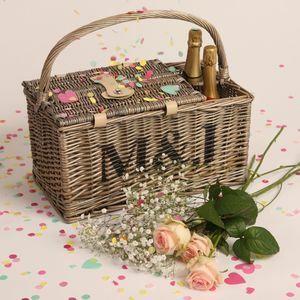 Made from top quality willow complete with elegant tan fastenings that snuggly hold your picnic blanket it is a perfect hamper for the summer picnics. 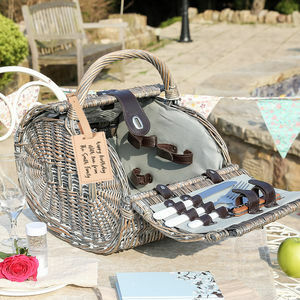 Comes with Great quailty real glass, stainless steel cutlery and real china plates. 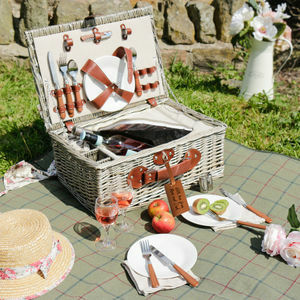 Accessories; stainless steel cutlery, 2 x wine glasses, 2 x plates, 2 x Napkins, chiller bag, bottle duffle, stainless steel flask, stainless steel mugs, salt and pepper shakers, fold away picnic blanket and a bottle opener. Accessories; stainless steel cutlery, 4 x wine glasses, 4 x plates, 4 x Napkins, chiller bag, bottle duffle, stainless steel flask, stainless steel mugs, salt and pepper shakers, fold away picnic blanket and a bottle opener. 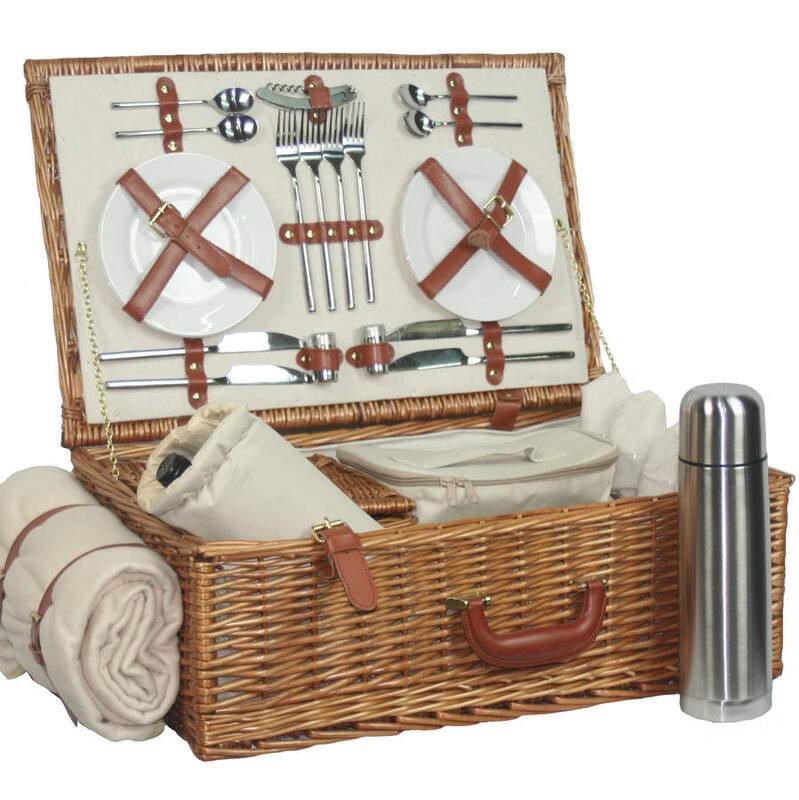 This product is dispatched to you by Eaton Hampers & Basketware.